In 1961, Rowland Schaefer opened up the store Fashion Tress Industries which specialized in wigs. By 1973, Fashion Tress Industries bought Claire’s which had 25 chains, changed the company’s name to Claire’s Inc., and moved away from wigs to fashion jewelry. The company continued to expand in the United States during the 1980’s. If you have a passion for the fashion industry and would like to find out more about Claire’s jobs, please see the Claire’s Application Link at the bottom of this article. From 1989 to 1999 the company bought other chain stores from all over the world including Topkapi from Japan, Bow Bangles from Britain, Bijoux One from Sweden, and many others within and without the United States. In 2005, Claire’s Inc. was listed on the NASDAQ and 2011 saw the launch of e-commerce. By 2012, stores were open in Ukraine, India, Mexico, China, Italy and five other countries. 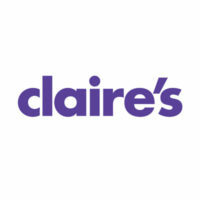 Currently, Claire’s has 3649 stores in 46 countries with 1947 stores being located in 95% of America’s malls. The Global Head Quarters is located in Hoffman Estates, IL. The vision of the company has been to help empower and inspire girls and women to find their own unique styles in a fun environment. With so much growth, there are many Claire’s careers available for those who want to fill out a Claire’s application. When applying for Claire’s jobs online, there are several positions that are available at store level. Those positions include sales associate, store assistant manager, store general manager and third key part time manager. There are also several Claire’s jobs available at the corporate level. Some of these positions include merchandising, product development, marketing, and financial planning. The type of positions offered usually required a college degree, but also offer a more substantial wage. How old do you have to be to work at Claire’s? The assistant manager and store general manager roles require a full time commitment and the ability to work nights, weekends and holidays. Due to this type of needed availability, minimum age requirement for these positions is 18 years of age or older. The sales associate position requires you to be 16 years of age or older. The work environment is one that is friendly, diverse and enthusiastic with the opportunity for advancement. Wages for entry level positions are at or slightly above the state minimum wage but vary by location. Salary management positions average between $23,000 per year and $31,000 per year depending on the management position that you are hired for. Though some benefits defer between positions, all employees and management are offered health and dental insurance, life insurance; as well as vacation and personal time off; and 401k retirement. To apply for jobs at Claire’s, you can apply online and find out which locations are hiring. You can also download the application form from the link provided below and fill out the printable application to submit it in person. Most store hours are Monday through Saturday 10:00 am to 9:30 pm and on Sundays from 11:00 am to 6:00 pm. Make sure you check your local Claire’s to verify the hours of operation. Sales Associate – The Sales Associate responsibilities include helping to achieve the store’s goals, following the policies and procedures, and have sales abilities. The Sales Associate must also enjoy talking with customers and have knowledge and enthusiasm about the products. Third Key Part Time Manager – The Third Key Part Time Manager will represent the Claire’s brand through professional behavior and building customer relationships. He or she will serve as a role model for all store associates. The Third Key Part Time Manager will also inspire and instill enthusiasm while improving the selling skills of store associates. This position also includes continually training and coaching staff, as well as providing appropriate feedback in a timely manner. Store Assistant manager – The Store Assistant Manager helps achieve the store’s sales plan and performance targets. This position also entails knowing what’s important to the customer by keeping apprised of current fashion trends. The Store Assistant Manager will also enforce proper ear piercing procedures that are in compliance with Company and legal guidelines among store associates. Store General Manager – There are several duties that the Store General Manager is responsible for. Among those responsibilities are train associates to perform ear piercing procedures, ensure associates understand and meet the needs of the business, deescalate situations that may arise, show leadership skills and follow all company policies and procedures. These commonly asked retail interview questions may assist you on your next interview. What is the most important aspect of a team environment? This is a very important question as it will determine if you are a team player or not. Think about this question carefully before answering the interviewer. What are your plans for the future? This question serves multiple purposes. It allows the interviewer to find out if you plan on advancing your career within the business. It also tells the interviewer whether your schedule may need to change due to school, second job, etc. What is your preferred schedule? This is an excellent time to show your honesty. Tell the interviewer exactly what you would prefer your hours to be and what hours you definitely cannot work. When going into any interview, being prepared is one of the keys to landing the job. In the fashion industry, it is very important that you are aware of current fashion trends and dress as such. This is just as important as bringing your resume and any certifications, awards, or commendations that you have earned. It is equally important that you are honest when speaking to the interviewer about your goals, availability and any other answer that you give. Show your honesty by looking the interviewer in the face and not allowing your eyes to shift around. Show confidence and respect to your interviewer. Shake hands, smile, and keep eye contact when greeting the manager that will interview you. Allow the manager to finish his or her question before you answer; don’t interrupt. Be prepared to ask questions of the interviewer about the company, the training process, and what goals the company has going forward. At the end of the interview, shake hands again and show that you are grateful by thanking the manager.